The following testimonials are snippets from testimonial letters received from some of our many satisfied clients. A full set of testimonials can be viewed in the pdf at the bottom of this page. We highly recommend Hutchings to anyone thinking of selling. We were overjoyed by the price that you achieved and it far exceeded our expectations by 20%. Having only bought and sold as a sole trader before, this transation was so much simpler. The support we received from Hutchings was brilliant. You offer a total package with knowledgeable, supportive staff. I chose Hutchings to handle my sale because out of the two selling agents I approached, I found Hutchings to be more approachable and professional. Alan worked very hard with all the parties concerned in order to complete the sale of my pharmacy. All the queries were handled quickly and efficiently. Finding the right buyer for us was one of the key aspects to the sale and we were happy with the price that was achieved. We found your team knowledgeable, professional and approachable throughout the sale and we certainly found it beneficial using you to handle the sale compared to us trying to do it on our own. Having dealt with other brokers in the past, you compare very favourably and I have already started recommending you to colleagues. Keep on doing excellent work. From the moment the phone is answered at Hutchings, the service is very professional and friendly. Your contacts, knowledge and patience (especially Scott) to see this through was exceptional. We could never have managed to do this on our own. Hutchings negotiated a very good price that was acceptable to both parties and it was also a great relief that the sale remained confidential throughout. 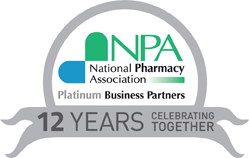 I had my pharmacy business for 23 years – I had evolved and grown it. There was a lot of emotional attachment but the time was right. It is taking me a while to adjust but I have to say what Hutchings achieved for me was fantastic. I certainly wouldn’t hesitate to recommend Hutchings to anyone thinking of selling. I had tried to sell privately but I came across too many timewasters. I decided I needed to go down the professional route and use an experienced agent in pharmacy sales. You were always available to talk to me and it felt more like a 1-2-1 relationship offering a great personal touch to the whole experience. Your database of buyers not only gave me exposure to a larger market of buyers, but ones that had funding and weren’t timewasters! You found me an excellent buyer, recommended a great solicitor and you pushed really hard to progress the sale and on top of that, you achieved a price that was beyond my expectations. I would tell anyone, don’t bother selling on your own, it’s a complete waste of time. I would highly recommend Hutchings and I am very grateful for the service you provided. Everything you did as a company gave us reassurance. 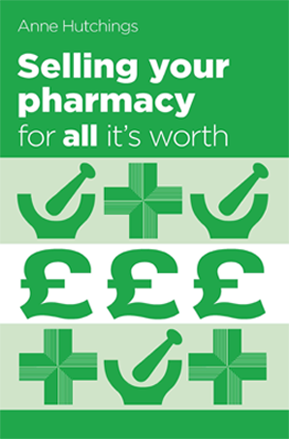 Your fee was worth every penny as you maximised the potential of the pharmacy and I certainly wouldn’t hesitate to recommend Hutchings to anyone thinking of selling their pharmacy. Using Hutchings allowed me to get on with running the business. It was left in your very capable hands and I found it most helpful to have someone there to talk to and take me through the process. You kept the sale confidential, you were good at moving things forward and the price achieved was an excellent uplift. ‘Diolch yn Fawr’ is ‘Thank You’ in Welsh. The team at Hutchings were brilliant and very professional throughout the selling process. Any problems that occurred, you came straight back, we couldn’t have had a better service. We would never have done it without you. It is a very stressful process but you managed the process brilliantly. Our sale was handled brilliantly. It was kept completely confidential, only informing buyers on a need to know basis. I highly recommend to anyone thinking of selling to use Hutchings. It was money well spent. Using Hutchings instead of attempting a private sale is a sensible option for anyone thinking of selling. By having other parties involved helped increase the price and we would’ve really struggled to do any of this on our own. I would certainly recommend Hutchings both for the brokerage side and the accountancy business for anyone thinking of selling in terms of service and advice. Your understanding of the area, knowledge of the right buyers and pharmacy market were key benefits enabling us to exceed the guide price and successfully complete within 6 months. Hutchings are very knowledgeable about pharmacy and everything is handled confidentially. Having used other agents in the past, I have to say Hutchings are much better and far more professional. Having sold previously using a stock taker, I knew I wanted to do it properly this time to try and achieve the best price for the business. All the behind the scene work that you did before and after the sale was agreed, was invaluable. Also the work that you did post sale agreement with your recommended solicitor were all great benefits for using Hutchings. Your service is very professional, however personal and friendly. Right from the start, I always thought it would be best to give it to experts to handle to help me obtain the best price. You took the headache out of what would’ve been very time consuming whilst trying to run a business. You couldn’t have improved on anything and I was extremely happy with the service that you provided. The thought had crossed my mind to sell privately but having spoken with yourselves, I realised the extent of work that was involved. The price achieved was clearly more than we could have achieved on our own and justified the commission. There was certainly a financial benefit for using Hutchings.